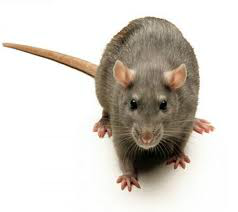 The Common Rat, brown rat or also known as the Norway rat is a supreme generalist; its opportunistic lifestyle, agility and prolific breeding potential have helped it to colonise practically every part of the world, there are an estimated 60 million rats in the UK. The average lifespan of a rat is 18 months and one pair can produce a colony of 2,000 rats in a year. In order to produce at such an alarming rate, up to 30% of the female rat population is pregnant at any time. Females become sexually mature at just 8-12 weeks, gestation is between 21 and 23 days, and females are able to conceive whilst suckling a previous litter, often mating within 18 hours of giving birth. They can breed throughout the year if the weather is mild and there is plenty of food. On average they produce between 3-6 litters each year, with each one consisting of 7-9 young. Their fur is coarse and usually brown or dark grey in colour, while the under parts are lighter grey or brown, they grow to approximately 30cm in length, with the tail slightly shorter than their body. An adult male weighs on average 550 g and a female about 350 g, they will consume around 30g of food per day and drink 60ml of water. Also known as the ship rat or roof rat the black rat despite its name exhibits several colour forms, It is usually black to light brown in colour with a lighter underside. They are smaller and more slender than the brown rat, its tail however is longer than its head and body, is hairless, and is used for balance. A typical adult black rat body will measure between 16-24cm with a tail of 18-26cm and weigh between 150-250g. The black rat is nocturnal, although it may become more active in the day in undisturbed areas. It is an omnivore, but tends to prefer plant matter such as moist fruits and seeds, although it will also feed on insects, refuse and faeces. It will consume approximately 15g of food and 15ml of water daily. Breeding takes place between March and November, when three to five litters can be produced, with each litter size between 5-10 young (although the average is seven). At 12 to 16 weeks of age females are capable of breeding, they are also able to conceive whilst still suckling the previous litter, which further maximises their reproductive capability. Maximum lifespan in the wild is less than 18 months, populations have very high mortality rate, mainly as a result of widespread pest control measures. 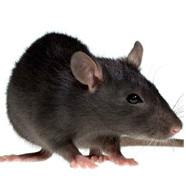 The black rat is a notorious pest, and was the host of the fleas that carried bubonic plague. It also carries a host of other diseases and is also damaging to property and food stores.